Vitamin E is perhaps the most universally prescribed and used substance for early treatment of Dupuytrens contracture and the lump on palm of hand it causes. Vitamin E has earned the place of being perhaps the most important of all scar reduction therapies. Reported to reduce plaque and fibrous tissue infiltration in damaged arterial walls, studies suggest it can reduce scar and fibrous tissue buildup in other parts of the body. There is about 75-90% worldwide agreement for the application of vitamin E as a first-line treatment of Dupuytren contracture and Peyronies disease. This is why it makes sense to always use the best vitamin E you can find when you treat Dupuytrens. Vitamin E is often used internally and externally in treating Dupuytrens contracture, so that its benefit can be maximized. The recent false conclusions in the news about vitamin E just goes to show how little science knows about the subject. It also shows the problem with using cheap synthetic vitamin products for your health. 1. The research that was done used only the synthetic form of vitamin E, alpha-tocopherol acetate, not the naturally occurring form that is recommended by DCI. Many times medical research uses the synthetic form of a vitamin as though there is no difference between the natural and synthetic form. 2. The research that was done used only the alpha form of vitamin E, and ignored the other seven members of the complete vitamin E family. The Journal of the American Medical Association recently pointed out that the use of the alpha form of vitamin E — alpha-tocopherol — as a dietary supplement causes depletion of the gamma, beta and delta forms in the body, resulting in health risks. To put a few things about vitamin E in perspective, it is good to recall that just 20 years ago the omega 3-fatty acids were widely ridiculed and their safety questioned. Today they are recommended by the FDA, the American Heart Association and others. A few years ago vitamin C was also thought to cause cancer. And not that long ago, the AMA laughed at the idea that there was a connection between a high fat diet and heart disease. It all goes to show that there is still a lot that science does not know about nutrition.There is so much to say about vitamin E, and much to learn. There are many statistical and clinical similarities between Dupuytrens contracture and Peyronie’s disease. So much so, that there is even a connection between treatment that has benefited one condition being also potentially beneficial for the other. Because of this, it is common to learn from men who are being treated with a PDI therapy program for their Peyronie’s disease that their concurrent Dupuytrens contractures of fingers are also improving. Therefore, when one study shows that Peyronies disease is benefited by vitamin E, it can be of interest to someone with Dupuytrens contracture. Would you be interested in a bargain parachute? No, you would want the confidence and security of knowing you have the highest quality product and material available when you need it. Would you look for the cheapest fire extinguisher? No, when the stakes are high, what is most important is to get the job done without fail. Would you choose the skiniest and weakest guard to protect you in a fight? No, you would look for someone who had the most muscle and proven ability to protect you.Why would you use the cheapest vitamin E – or other vitamin – if you rely on it to help you improve your health and well-being?!?!? Dupuytrens contracture is probably treated universally by vitamin E more often than any other Alternative Medicine therapy; learn why Yasoo Integral E 400/400 is the best source of vitamin E for your Dupuytrens contracture plan. • 400 milligrams of the other natural tocopherols plus tocotrienols. Dupuytrens contracture needs the complete line of all four mixed tocopherols, with an emphasis on gamma-tocopherol, as found in Gamma E 500. • 800 milligrams of tocopherol concentrate high in gamma-tocopherol (500 mg). Unique-E Oil is the most important ingredient of any good Dupuytrens. Dupuytrens contracture and Unique-E Vitamin E Oil are a natural combination when teamed up with DMSO and ionic copper; probably the best selling therapy combination in the DCI lineup. Dupuytrens contracture therapy can also benefit from the only water-base vitamin E preparation when your digestive system does not handle fats and oils well. This product is made only by Yasoo Health for those who do not have a good fat metabolism and do not process vitamin E well in its normal oil-base form. Aqua-E is a very special form of Vitamin E that is recommended if you have a problem digesting fats and oils in your food. You might have been told by your doctor that you have a problem with your gall bladder. Typically, you will know who you are because of your inability to digest a fatty meal — based on bloating, pressure and heaviness in the abdomen after a meal, and perhaps frequent urgent diarrhea after a fatty meal. If this describes you, then you should be taking Aqua-E, since it is water-based. Because of this special formulation Aqua-E, this form of vitamin E will be absorbed much better into your body than any oil-based vitamin E.Aqua-E is a patented water-soluble vitamin E, made by exclusively by Yasso Health. This is the only water-soluble vitamin E in existence that makes available the full eight members of the tocopherol and tocotrienol family of E’s. Other water-soluble E’s contain only d-alpha-tocopherol – missing the other seven important family members. Aqua-E supplies all eight, and is the only one to do it. 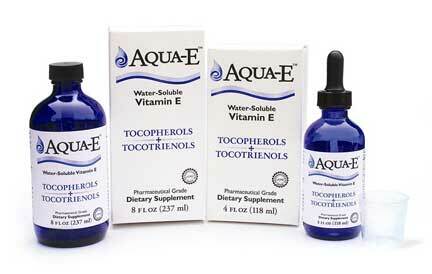 Get Aqua-E with confidence from the world’s leading authority in vitamin E research and formulation. On top of that, we have a great price on this special vitamin E product. Anyone taking blood thinning medication should consult with their prescribing doctor before starting a high dose vitamin E and omega fatty acid therapy. Because vitamin E and omega-3 act as very mild anticoagulants they may have an additive effect and cause further thinning of the blood beyond the desired level. In general, DCI strongly advises anyone taking any other medication for any reason, to first check with their treating physician before undergoing any suggested supplements or therapy offered for study and consideration. 1. 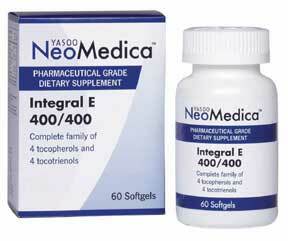 One softgel per day of Integral E 400/400, taken at the first meal of the day. The advantage of this form is that it supplies 400 IU vitamin E activity from natural d-alpha-tocopherol plus 400 milligrams of the other natural tocopherols plus tocotrienols that have additional benefits. NOTE: Two vitamin E 400/400 may be taken initially for a few weeks, at the beginning of treatment, then reduced to one daily. 2. One softgel per day of Gamma E 500 taken at the last meal of the day. 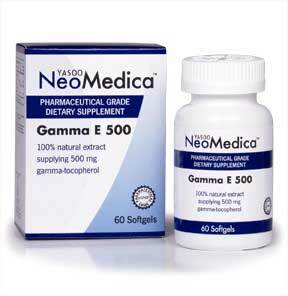 The extra gamma tocopherol can help with inflammation and arterial function. Each softgel contains: 800 milligrams of tocopherol concentrate high in gamma-tocopherol. 3. Two softgels of Omega T™ taken with any meal during the day. Combines the benefits of all natural omega-3 fatty acids, natural tocopherols plus tocotrienols and CoQ10 in their most bioavailable form. Omega-3 fatty acids have been shown in clinical trials(33-34) to reduce heart disease, reduce triglyceride levels and reduce inflammation. 4. Twice daily use the Unique-E oil, which is very rich in gamma tocopherols and tocotrienols directly over the palmar contracture (along with PMD Topical DMSO Solution to increase penetration) to help reduce inflammation, promote healing and reduce scarring. 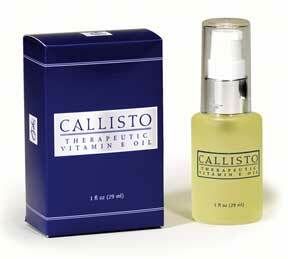 This is really recommended because it is another avenue of entry of vitamin E into the tissue. By taking vitamin E through an external source – in addition to the much needed internal source – you are assuring maximum saturation of vitamin E into the area. Apply a small amount of Unique-E oil to the hand where the contracture, nodules and cords are located and rub in until slight resistance is felt, indicating that most of the vitamin E oil has been worked into tissue. It may happen in some individuals that if you apply any oil too often, a rash may develop on the site of application; if so, just reduce number of applications so that skin is able to handle increased oil.Once your tissue repair mechanism has been supported so that your Dupuytrens contracture is under control, and your contracted tissue has been absorbed by the body, IT IS MOST HIGHLY RECOMMENDED that you stay on a dose of one softgel each of Integral E 400/400, Gamma E 500, Omega-Q, and vitamin C for the rest of your life. Besides the countless health benefits of these products for general health, they are an important first line of defense to prevent recurrence (oh yes, the dense hard tissue can come back!) of future episodes of Dupuytrens contracture. For ideas and suggestions putting this information about vitamin E into a treatment plan, click Create a Dupuytren Treatment Plan. 1. Service DCI offers email support and assistance for the products and services we provide. We provide experience and interest in helping you with your problem. DCI is here to help you with questions about the products we sell. This is an extremely valuable service the others cannot possibly match. 2. Quality and Quantity Repairing the hand contractures is such an important mission. It is critical you use a high quality and quantity of nutrients. We have done the hard part selecting good companies and products. Buy with confidence. 3. Value DCI has a competitive pricing structure of which we are proud. We doubt you can find better products that deliver the quality and quantity for the prices we have set. 4. Convenience The longer you take to start treating your hand, the longer and more difficult treatment becomes, and the likelihood of success deteriorates. Everything you need is here, right now, in one place. DMSO is a carrier of other substances that can be used to increase the effectiveness of VITAMIN E in treating your hand problem. By using a combination of copper and vitamin E with DMSO, you receive not only the benefit of copper and vitamin E being taken deeper and faster into the tissue, but the DMSO has its own therapeutic advantages as well. Click DMSO to learn more about adding another layer to your therapy program. 3. Li, D., Saldeen, T., Romeo, F., Mehta, J. L. Relative Effects of alpha- and gamma-tocopherol on low-density lipoprotein oxidation and superoxide dismutase and nitric oxide synthase activity and protein expression in rats. J Cardiovasc Pharmacol Ther 1999:219-226). 4. Covington MB. Omega-3 fatty acids. Am Fam Physician. 2004 Jul 1;70(1):133-40. Review. 5. Simopoulos AP. 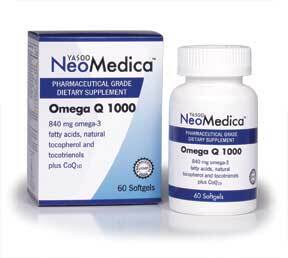 Essential fatty acids in health and chronic disease. Am J Clin Nutr. 1999 Sep;70(3 Suppl):560S-569S. Review. 9. Papas AM. Personal communication on unpublished data).